Login using your email address (if you have more than one email address, you must use the address that is in the database; the one that church contacts you on. 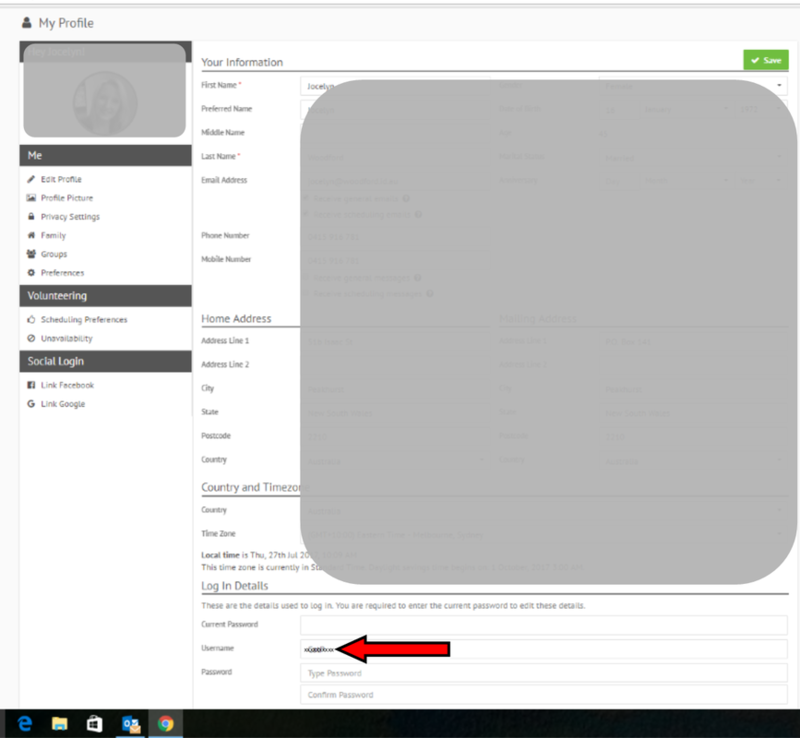 Select the drop-down menu located on your name in the top right-hand corner, then select My Profile. Navigate your way down to the very bottom of Your Information to Log In Details. Your username will appear here.